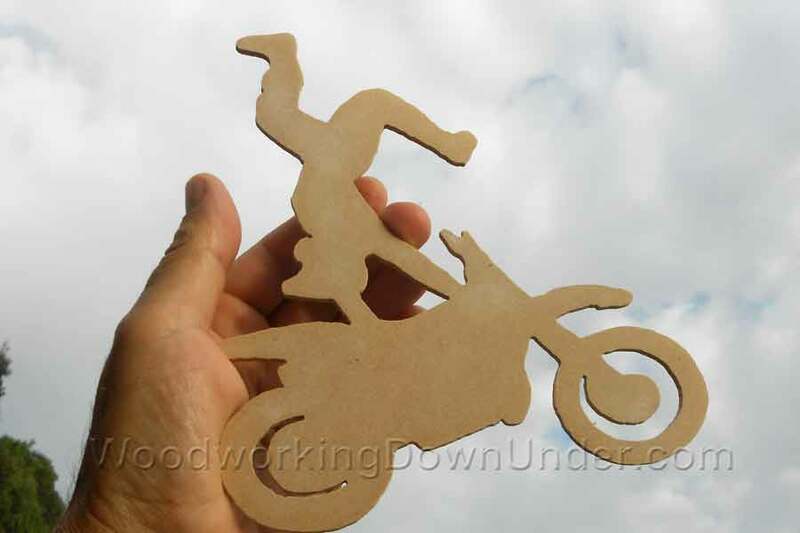 Use these free motorcycle scroll saw patterns to make something that Batman always wanted. 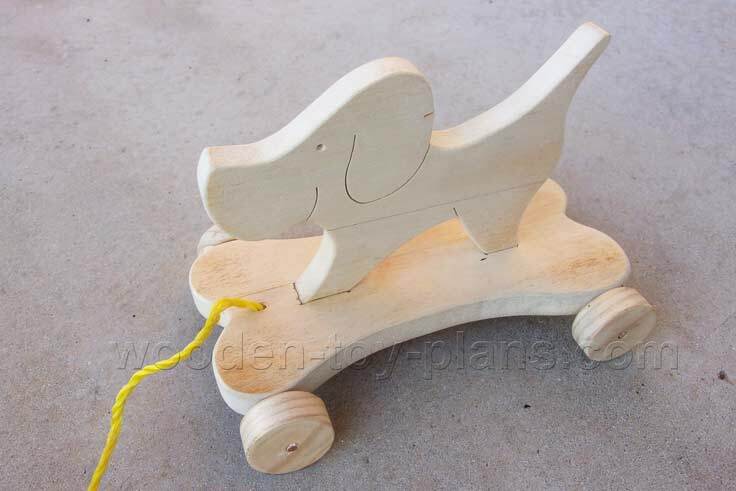 This is an easy project that is fun to make. This is how I made it – started by cutting out 4 sheets of MDF to rectangles 120mm wide and 80mm high to make the central core. For the central core, I could have used a single sheet 12mm thick instead. The two outer sides are glued on with a sheet of paper in between, essentially making a paper sandwich. This is done so that I can remover the two outer sides and cut away pieces of the central core, as you will see later in the build. Using double sided mounting tape is another option. 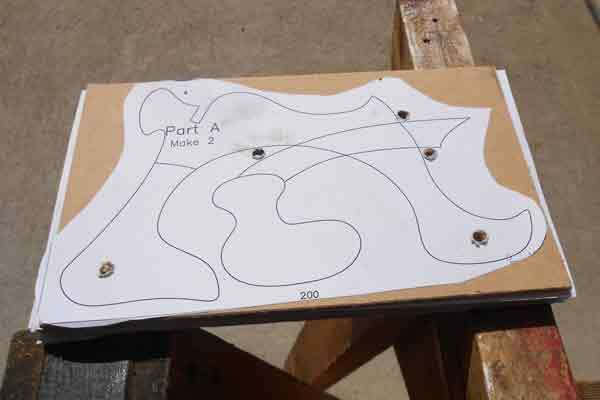 Paste the paper pattern and drill the holes for the axles. I have also drilled several holes in the corners of the pattern, this allows me to make sharp turns while using the scroll saw. 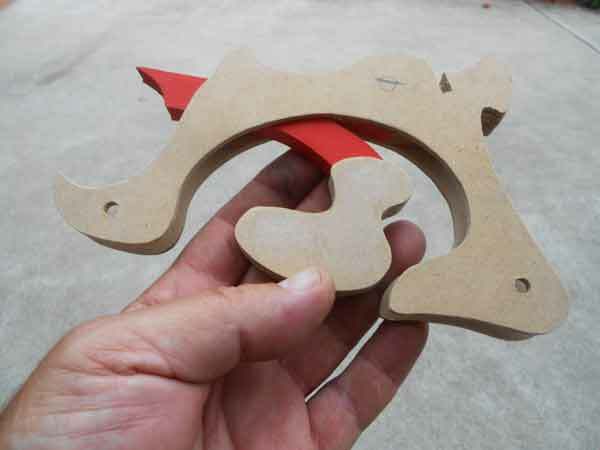 The shape is cut out, and the two outer sides are removed. The blue shading is the areas to be cut away. The central core is modified as shown in the photo. I have decided to paint the red trim at this stage. 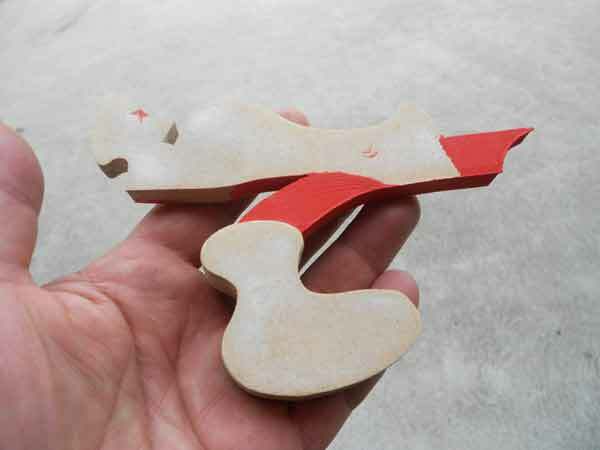 Showing the two outer parts are glued in place. 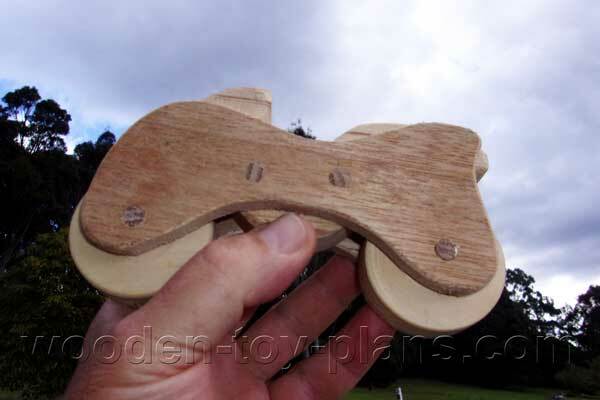 Note that it is a good idea to insert the axles while the glue is setting – this will ensure that the parts are aligned. 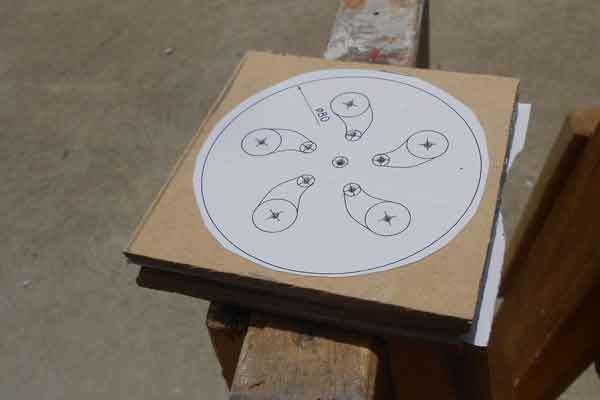 The wheels are made by laminating three discs, with the center disc having a smaller diameter, resulting in a wheel with a groove in the middle. This will allow me to use a rubber o-ring as a tire. 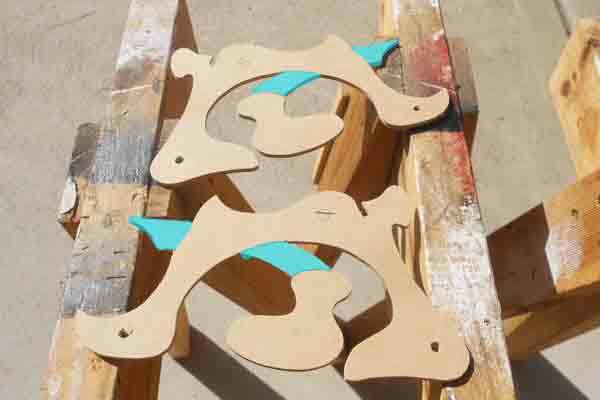 The wheels are also made in a batch, using the sandwich method. 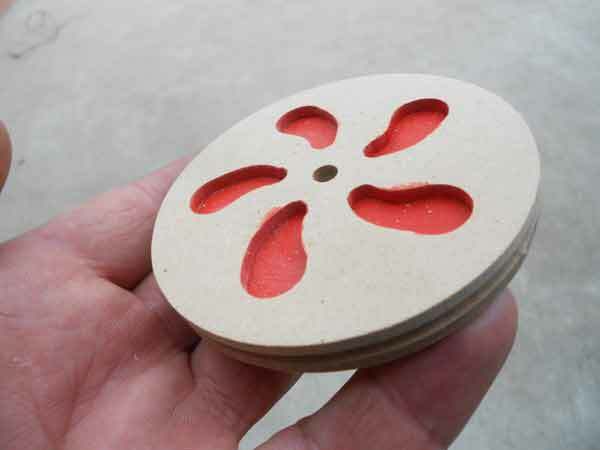 Cut out the holes, cut the circle shape as close to the line as possible without touching it. To cut out the spokes, I drilled the holes as shown in the photo. 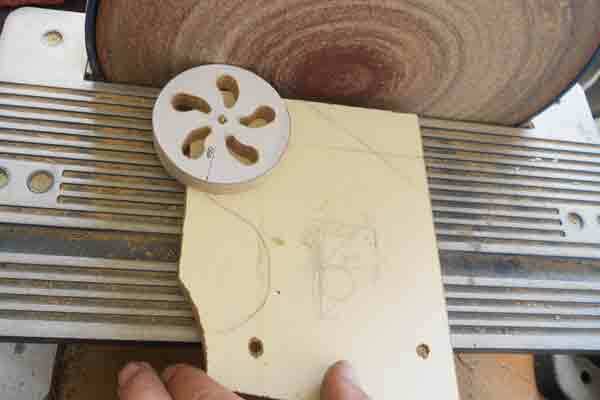 Here I am using a simple woodworking jig and a disc sander to sand the wheels round. Make the two internal discs using the same technique. Showing the wheels with the red trim painted. Note the groove in the middle. The wheel is ready to be painted. 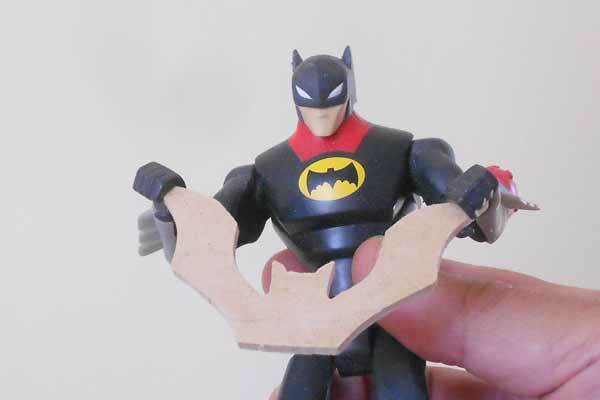 The bat wing handlebars are cut out. Here batman is trying them for size. All the parts are painted before final assembly. To make sure the wheels spin freely, I made a set of washers using a hollow punch and plastic milk bottle tops. 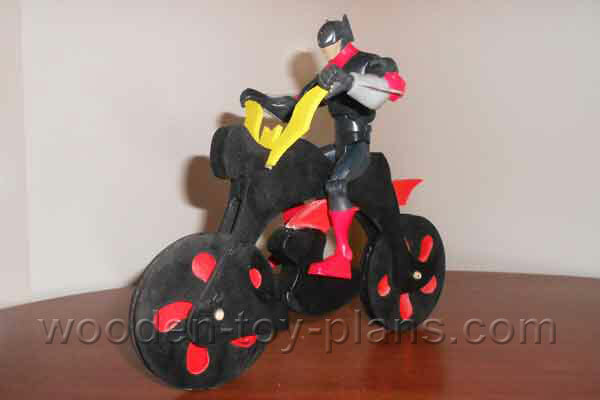 Here is an animated version of the steps to make the batman motorbike. I hope you have enjoyed making this project. 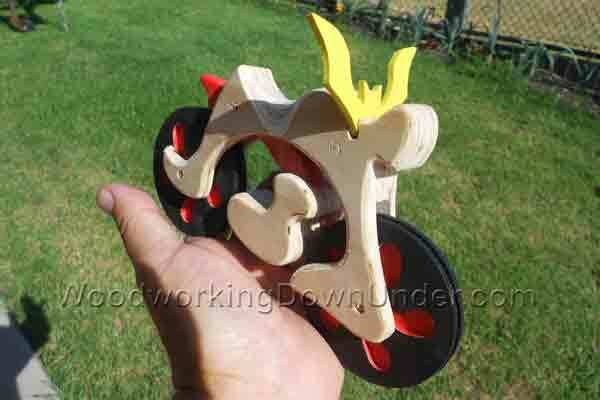 Visit the woodworking projects gallery to see the toys people from all around the world have made. 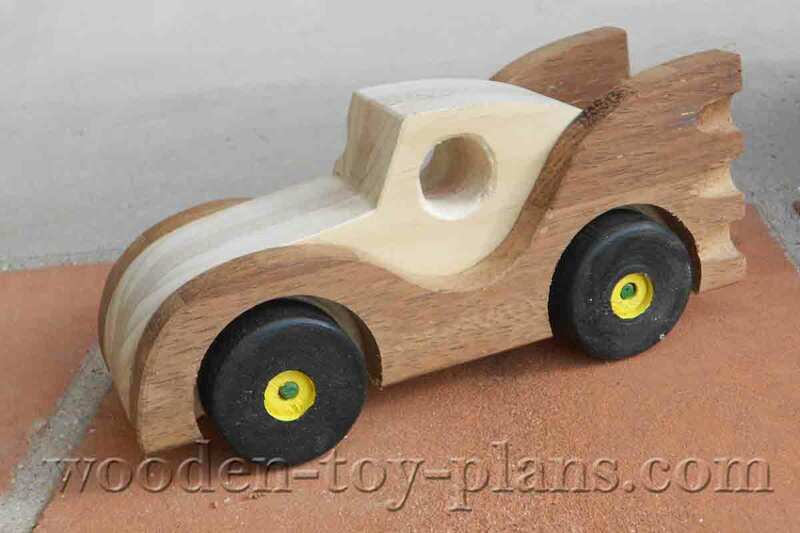 Rocket powered Batmobile wooden toy car.